The soap and aftershave have been used two maybe three times and not in awhile. I have so many soaps and this one is no longer available, I figure someone else may enjoy it. I am asking $50 shipped for this set. Retail with shipping was $49.48 I believe. I am not trying to make a profit here but I don’t want to lose that much on a soap set you cannot find right now. I am open to trades for higher end soap sets from WK, Grooming Dept., or PAA etc. I will consider other trades as well and can always add cash to make a deal work. Great deal on a fantastic one off scent in an amazing one off base. 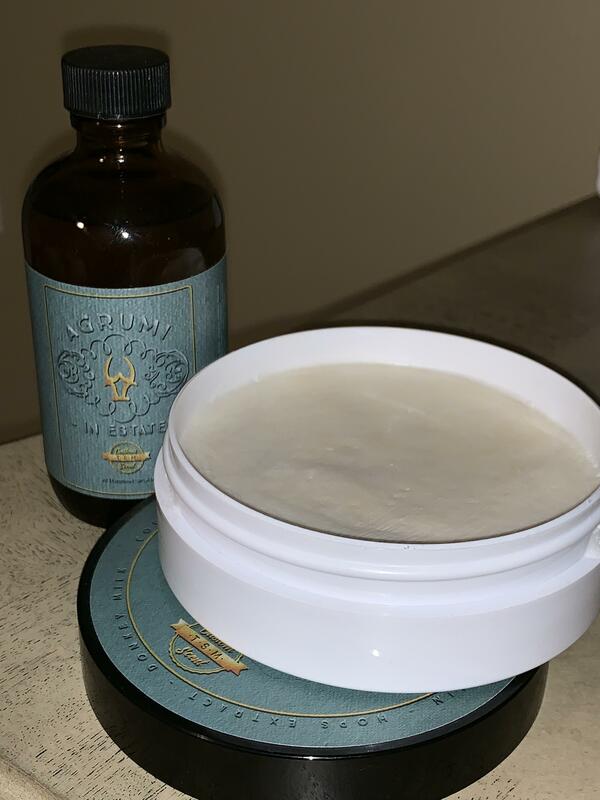 (01-29-2019, 07:54 PM)Kehole Wrote: Great deal on a fantastic one off scent in an amazing one off base. It is a different base? I was wondering. Got a set about a week ago and it seemed much denser than my other wk. Tried to find some info on it but couldn't. I had this ad bounced into the Fix It forum on TSN because I listed it at .52 cents more than retail with shipping. I am DONE with that forum. This is a fantastic soap but if you saw what my cabinet looked like, you would understand why I don’t mind passing this set on to someone who has the time to use it! This set is amazing! I did a video on it, I would have bought a second set but I’m not crazy about the scent. The bonus with this base is that it has Synthetic collagen added! Really has a wonderful feel very rich and creamy and the post shave feel leaves you soft for hours! There isn’t another base like it and I have some pretty high end soaps including MDC, Pannacrema, and THB LEs. The only thing I’d think is able to come close but haven’t tried due to the price is Sebums new shaving cream line up. 250 for a shaving cream set that I’m probably only going to use 3-4x a yr is just too much for me. I hope Sri (WK) brings this base back in a Pashas Pride, Padre Leone, or King of Bourbon scent!